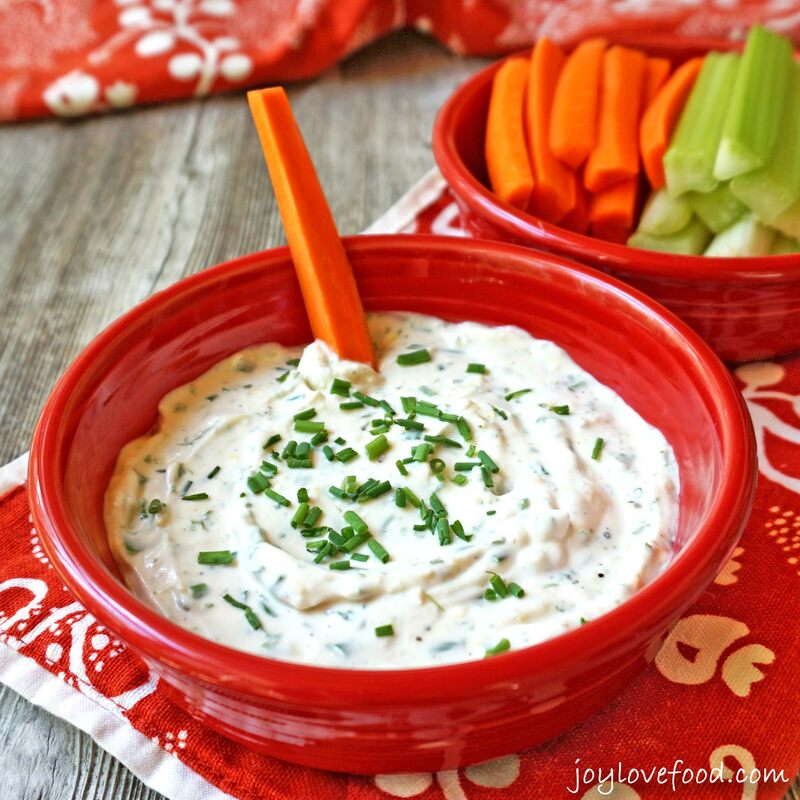 Creamy Garlic and Herb Dip – a creamy, tangy and flavorful dip, perfect for a summer party or get together. 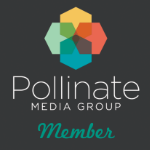 Last week was a busy week for our family. The kids finished school on Monday and then we moved from Carlisle, Massachusetts to Pennsylvania for my husband’s job. We will move into our new house in West Chester, PA in early August. In the meantime, we are staying in temporary corporate housing near my husband’s new offices. We will also spend time at our lake house in Vermont and at my parents’ place in Myrtle Beach, South Carolina. I often make recipes in order to use up items in my refrigerator. Before our move, this was even more so the case, as I tried to empty out my fridge and freezer as much as possible. 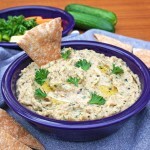 Which is how I came to make this Creamy Garlic and Herb Dip. The week before the move, I was hosting a small girls’ night at my house and wanted to make a dip for the get together. I had a half block of cream cheese and some buttermilk to use up, so I decided to make this dip that I found at Cooking Light. 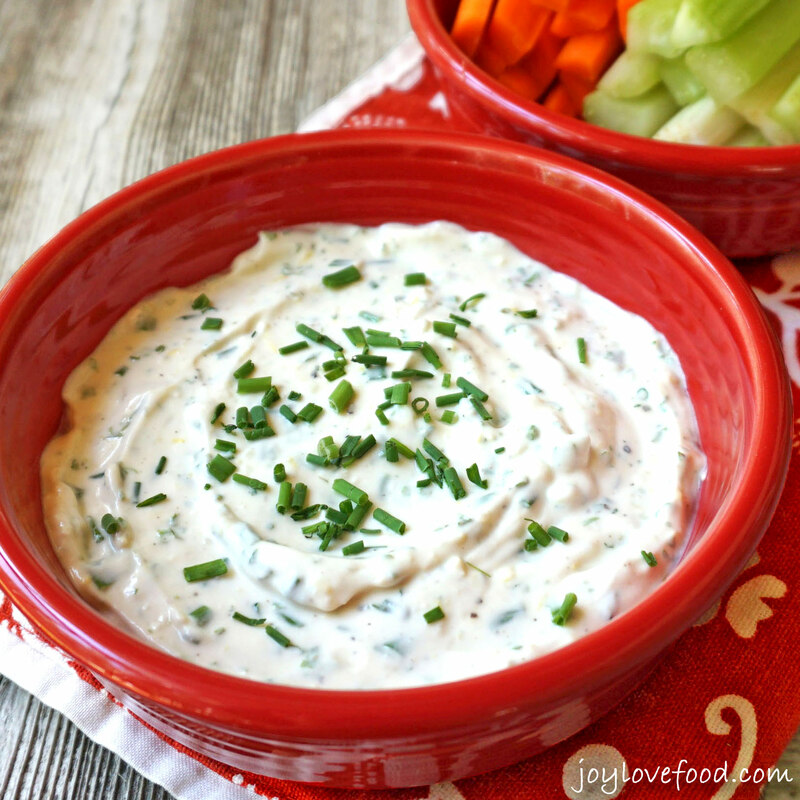 This Creamy Garlic and Herb Dip is really easy to make. Just mix together softened cream cheese, buttermilk, minced garlic, fresh chives and parsley, lemon rind and salt and pepper. I made the dip a day before the get together and let it sit in the refrigerator to let the flavors develop. The resulting dip was bright, tangy and full of flavor. The tanginess from the lemon and buttermilk nicely complements the creaminess of the cream cheese and freshness of the herbs. The garlic gives it a wonderful spicy kick. 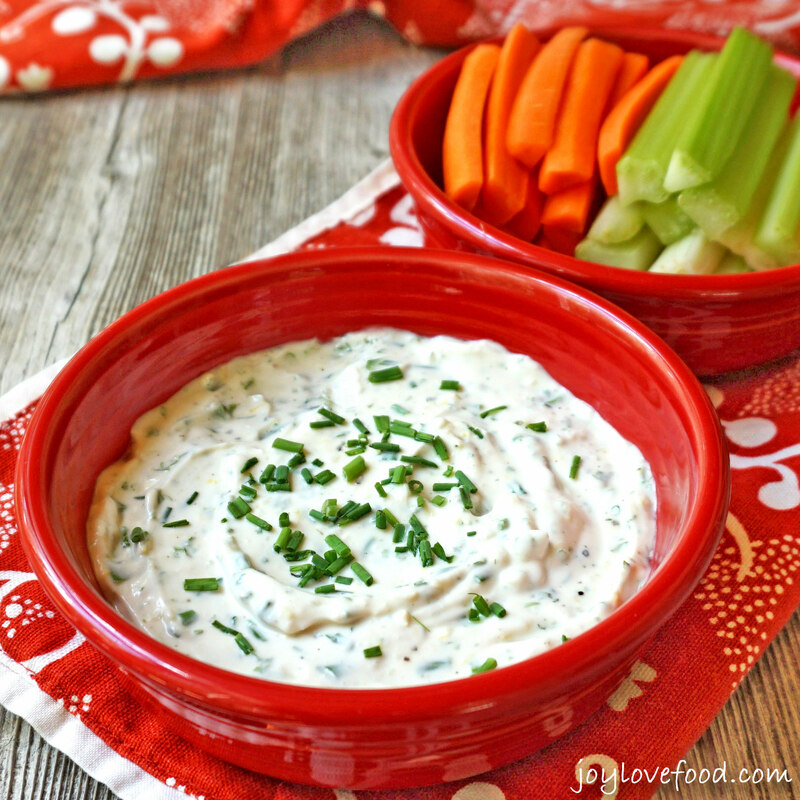 I served this delicious Creamy Garlic and Herb Dip with carrot and celery sticks. Other assorted veggies such as bell pepper strips would be great accompaniments, as would pretzels and crackers. This recipe made just the right amount for my small gathering. For a larger party, I would double the amount. What is your favorite summertime dip? Do you make recipes in order to use up ingredients in your fridge? Please let me know in the comments below! 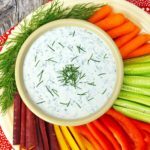 Creamy Garlic and Herb Dip - a creamy, tangy and flavorful dip, perfect for a summer party or get together. Add cream cheese, buttermilk, garlic, chives, parsley, lemon rind, salt and pepper to the bowl of a standing mixer and mix on medium-high speed until soft and creamy. 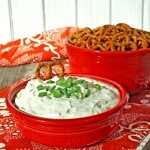 Transfer dip to serving bowl, cover and refrigerate for at least an hour or overnight. 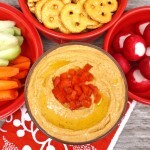 This entry was posted in Appetizers & Small Bites, Dips & Spreads, Vegetarian and tagged appetizer, creamy, dip, easy, fresh, garlic, gluten free, herb, party, recipe, spring, summer, vegetarian. This sounds delicious. Actually my family is coming over next week and I’m going to make this for them. Loving the sound of this dip! 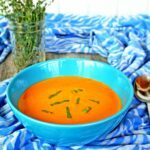 I love your photos on this recipe post, Joy! So cheerful! This dip is perfect! Very refreshing and may serve as light dinner especially if it’s accompanied with vegetables! 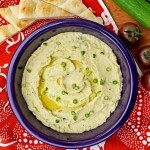 Thanks Katerina, this would indeed be great for a light dinner with veggies and pita bread! 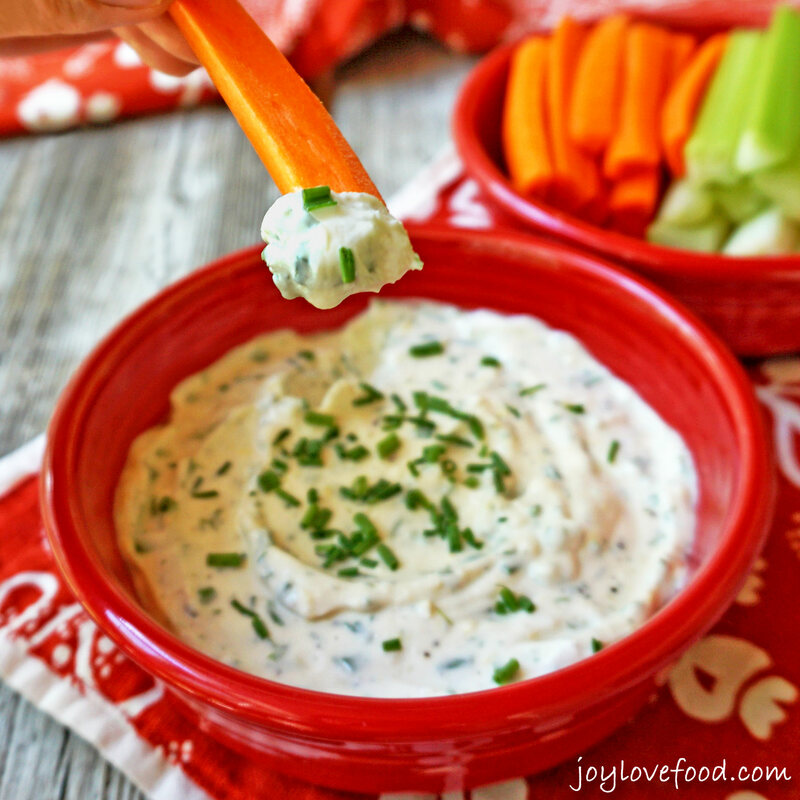 Thanks Joanna, this dip along with some veggies is a great low carb snack! Thanks, hope you give it a try and enjoy! This sounds so tasty, Joy! I like also the vibrant red color in your photo. Thanks Indah, it is so good! Such a great classic dip! perfect for Summer Parties! 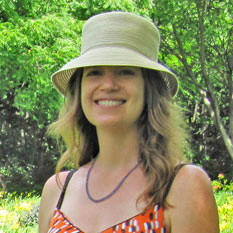 Ilka recently posted…So fun for Summer! Tie-Dye Beach Towels! Thanks Ilka, this is indeed great for parties, I need to make it again soon! Thanks Carol, it sure is! Thanks Steve, Doritos would be a great accompaniment, yum!